A brief look at the rare earth elements market and how to start investing in the sector. Read on to learn the basics. Sound complicated? While the REE space is undeniably complex, many investors find it compelling and are interested in finding ways to get a foot in the door. Read on for a more in-depth look at the rare earths market and the many different REEs, plus a brief explanation of how to start investing. There are a number of ways to categorize and better understand REEs. For example, rare earths are often divided into “heavy” and “light” categories based on their atomic weight. Heavy rare earths are generally more sought after, but light REEs can of course be important too. Rare earths can also be grouped together according to how they are used. Those used to make magnet rare earths include praseodymium, neodymium, samarium and dysprosium, while phosphor rare earths — those used in lighting — include europium, terbium and yttrium. Cerium, lanthanum and gadolinium are sometimes included in the phosphor category as well. You can click here to learn more about heavy and light rare earths, and here for more information about the different uses of rare earths. One thing that is common to all the rare earths is that price information is not readily available — like other critical metals, rare earths are not traded on a public exchange. That said, some research firms do make pricing details available on occasion, sometimes for a fee. As mentioned, each REE has different pricing and supply and demand dynamics. However, there are definitely overarching supply and demand trends in the sector. Perhaps most notably, China accounts for the vast majority of the world’s rare earths supply. It produced 105,000 MT of rare earths in 2017, with Australia coming in a very distant second at 20,000 MT. The Chinese monopoly on rare earths production has created problems in the past. For instance, rare earths prices spiked in 2010 and 2011 when the country imposed export quotas. The move sparked a boom in exploration for rare earths outside of China, but many companies that entered the space at that time fell off the radar when rare earths prices eventually fell again. Molycorp, once North America’s only producer of rare earths, is one notable failure in the drive to produce the metals outside of China. It filed for bankruptcy in 2015. China no longer has REE export quotas in place — in 2014 the World Trade Organization ruled against them, and China removed the restrictions in 2015. Despite its key role in the rare earths space, China has long had problems with illegal mining. As part of its 12th Five-year Plan, the country closed 14 illegal rare earths mines as well as 28 companies. The overhaul of the sector is expected to continue during the 13th Five-year Plan, which will run from 2016 to 2020. As part of its efforts to curb illegal rare earths mining, China announced that it will limit its annual rare earths output to 140,000 MT by 2020. In terms of demand, research firm Adamas Intelligence notes in a report that the rare earths market has “endured a wealth of demand destruction” since 2011. Despite the uncertainty that has plagued the REE space, 2017 marked a turning point, with prices increasing and a renewed interest in REE projects. Many analysts believe demand for rare earths will boom from 2020 onwards as growth rates for top end-use categories, including electric vehicles and other high-tech applications, accelerate. 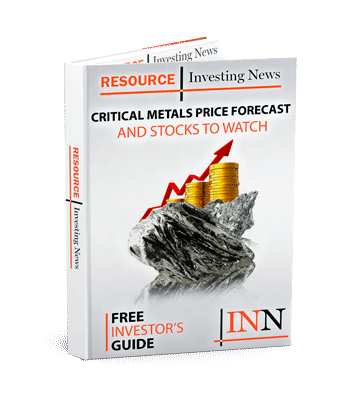 The possibility of higher rare earths prices in the coming years has left some investors wondering how they can invest in rare earths. Unfortunately, investors looking for exposure to REEs have few options — buying physical rare earths is not possible, and few ETFs offer exposure to the metals. Matamec Explorations (TSXV:MAT) is another solid small-cap choice. Its rare earths project in Quebec is one of the most advanced in North America. Thank you for your comment. We have added Matamec Explorations to the list.